Is he tempted by satin or is it the patronization of a city crying about disasters that are yet to come? 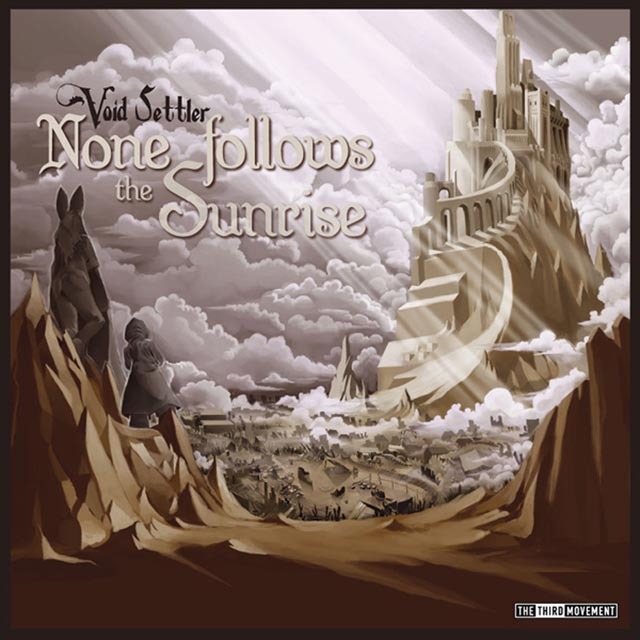 Void Settler along with his aliases 'Labyrinth' and 'Sandling' has created his first full length solo album 'None follows the sunrise' featuring 15 original tracks. With mysterious titles, bizarre verbal expressions, crossover of ambient sounds, and random extremities of obnoxious noises: Void Settlers expression and composition of Intelligent Dance Music is perfectly placed. (This album features 15 tracks, including the very popular Nightfall Deceit, the previously released 'Her naked thin glass made clock' and 13 unreleased pieces!) You will never find a way out' Don't be afraid. 02. Void Settler & Labyrinth - Fable. Entwine.